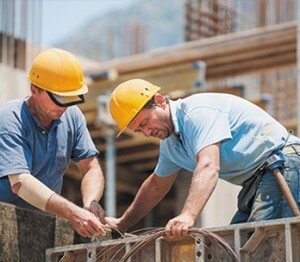 Workmen’s compensation insurance is compulsory for all UAE businesses. It not only protects employers against legal action when employees are injured, but provides compensation to workers who are hurt in the course of their employment. Reimbursement can take the forms of disability insurance, compensation of past and future wage losses, health insurance or life insurance. This type of coverage provides 24-hour protection insurance against injuries, disability or death caused by violent, accidental, external and visible events. Benefits can range from payment of medical fees to funeral expenses. Coverage can be provided on either an individual or group basis, meaning families or companies can be protected anywhere, any time. As more financial services move online, businesses are becoming increasingly vulnerable to fraud, theft and forgery. Fidelity guarantee insurance protects employers against direct financial loss caused by fraudulent or dishonest conduct perpetrated by employees, or those working on a contractual basis. This provides coverage for employees travelling domestically and abroad. It can apply to either single or multiple trips, protecting against a wide range of expenses and losses, such as medical emergencies, flight cancellations, theft, and delays due to weather. Juelmin Insurance Services (JIS) is an industry-leading insurance brokerage firm based in the Dubai, UAE. From personal plans for individuals and their loved ones, to comprehensive cover for business clients across industries. Copyright © 2016.Juelmin Insurance Services. All Rights Reserved.